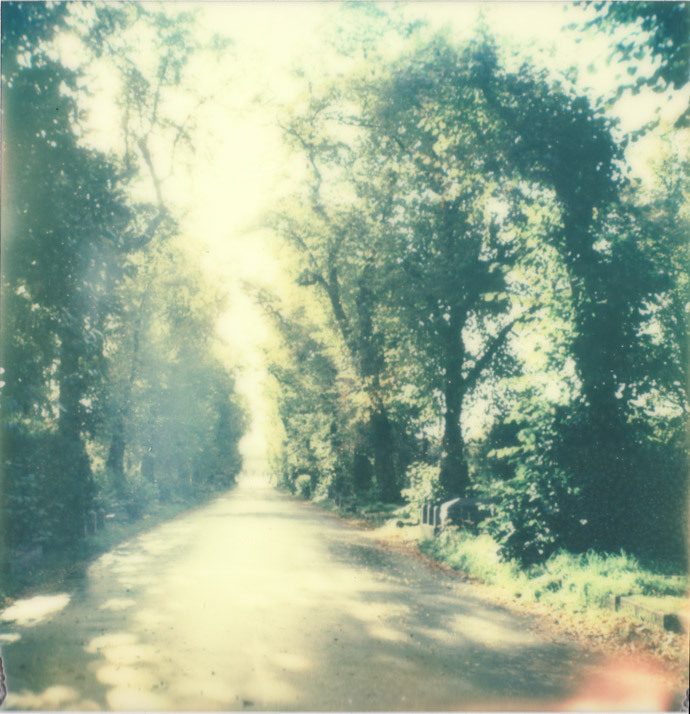 a walk in brompton cemetery today with the sx-70 and some of the early impossible film. unprocessed, other than scanning, this is pretty much how the polaroids look in my hands… far too yellow for my liking. 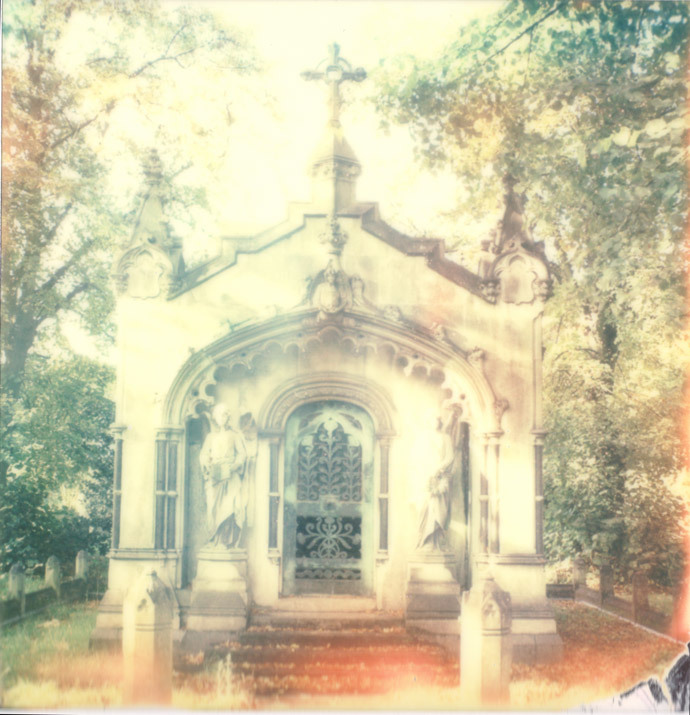 This entry was posted in a book of days and tagged brompton cemetery, polaroid, sx-70. Bookmark the permalink. Those are lovey treatments of already lovey pictures. Good choices. 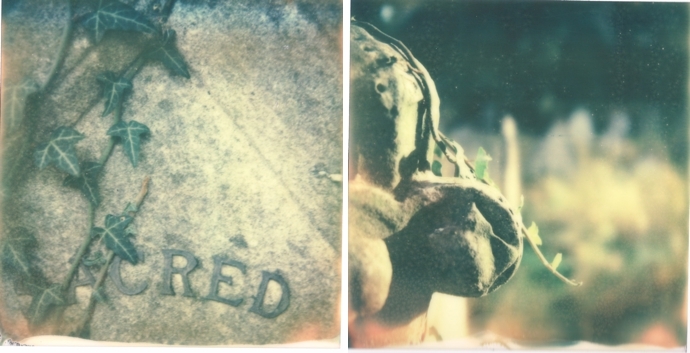 I just love old cemeteries – your processing is lovely!